Copyright © 2015 Gary Raham. 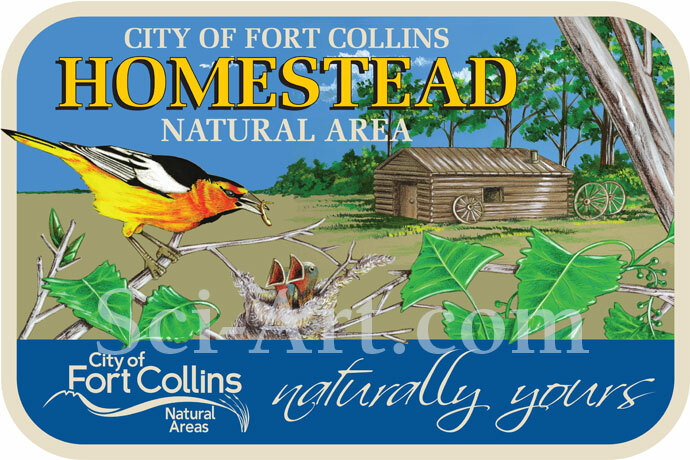 This image is available for purchase, but with some restrictions on reuse: The Homestead sign was created for the City of Fort Collins, CO. The image of the Bullock's Oriole could be used elsewhere..